Will it ever happen? Not likely. The Nissan Silvia S16 is not likely to come up anytime soon. 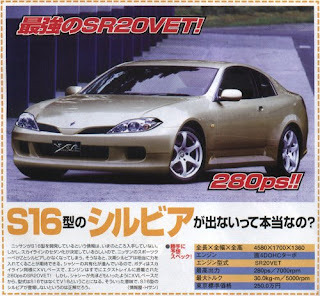 From everything we have heard about the S16 Silvia, it is not going to follow in the footsteps of the S15. Its a shame. Its a shame, the S15 was a great rear wheel drive platform for drifting.